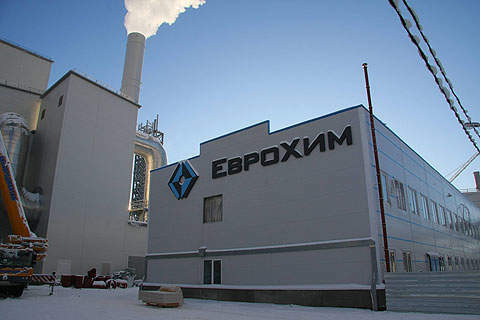 EuroChem Mineral and Chemical Company inaugurated its first granulated urea plant in Russia on 23 December 2009. The NAK Azot granulated urea plant was established by reconstructing an existing Urea-3 workshop and building a new granulation unit. The Urea-3 workshop is based on fluid bed granulation technology developed by Stamicarbon. 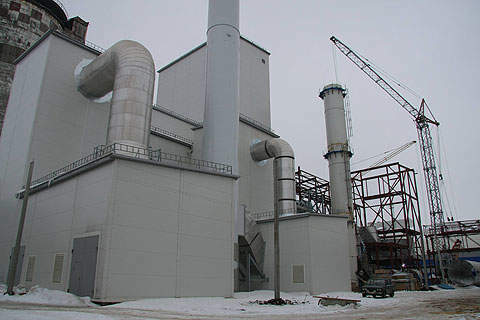 On 23 December 2009, OJSC Novomoskovskaya Joint Stock Company Azot (NAK Azot), a subsidiary of EuroChem Mineral and Chemical Company, inaugurated Russia’s first granulated urea plant in Novomoskovsk, Tula Oblast. The NAK Azot granulated urea plant was established by reconstructing an existing Urea-3 workshop and building a new granulation unit. The modernisation increased the shop’s granulated urea capacity to 2,000t per day from 1,525t per day, a rise of 31%. The project also increases NAK Azot’s total chemicals production capacity to 3,200t per day from 2,727t per day, an addition of 17%. The Urea-3 workshop reconstruction project was approved in July 2006. EuroChem invested a total of RUR2bn ($65.3m) in the project, which completed the company’s capital expenditure programme of RUR2.5bn for the reconstruction of its distillation and synthesis sectors. The programme was launched to introduce the new fluidised bed granulation fertiliser technology to Russia and enable granular fertiliser production rather than that of prilled products. One of the largest chemical enterprises in Russia, NAK Azot began ammonia production in 1933. The company made several upgrades to its workshops, equipment and the production of new chemicals. The chemical enterprise installed new technology production lines, automation systems, an enhanced control process and environment-protection technology to reduce emissions. It employs over 8,500 people. OJSC MCC EuroChem and the Administration of the Tula Region have been developing chemical and energy enterprises in the Novomoskovsk District. EuroChem is also constructing a new granulated urea facility with a capacity of 1,150t per day at the Urea-4 workshop in NAK Azot. Designed and built by Snamprogetti, the NAK Azot Urea-3 workshop was commissioned in 1979. The project for carbamide production was approved in July 2006. Modernisation of the workshop began in 2007 and the production capacity of composite mineral fertilisers reached 2,000t per day by 15 December 2008. The transition to granulated urea was achieved on 15 November 2009. The project has an annual production of 420,000t of calcium-ammonium nitrate. The launch ceremony of the new Urea-3 line in December 2009 coincided with NAK Azot’s 76th anniversary. The Urea-3 reconstruction project was built considering the environmental aspects and received awards during construction. The plant also involved the construction of a new water recycling system, supplied by Urea Casale. The system reduces the levels of contaminants in wastewater 250-fold, urea dust emissions by 64% and ammonia gas emissions by 36%. The Urea-3 workshop uses fluid bed granulation technology for carbamide production. The technology was developed by Stamicarbon, a subsidiary of Maire Tecnimont, and was licensed for the urea granulation unit. A pilot plant built with this technology was realised in 1996. The technology was further improved for deployment in large-scale urea production plants. The fluid bed granulation technology produces a uniform size, is durable and enhances the carbamide production capacity. The size of carbamide granules is 2-4mm for 90% of the production. The process unit offers stable operation, is abrasion free and saves operational costs. The technology uses less raw material and consumes less energy per unit production as per the world standards for energy consumption. It consumes 0.9Gcal per tonne of carbamide production against the 1.531Gcal per tonne consumed by other standard processes. The consumption of ammonia for one tonne of carbamide production decreased to 0.57t from 0.5785t. Urea and ammonia emissions from the plant were reduced by 8,000t per year. The Scientific Research Institute of Urea was involved in the documentation of the reconstruction project. Reconstruction of the synthesis and distillation units was contracted to Urea Casale SA, which was responsible for the basic documentation, equipment delivery and supervision of installation, commissioning and start-up of the plant. The engineering and procurement (EP) contract for the granulation unit was awarded to Chemoprojekt. The scope of work included equipment delivery using licenced Stamicarbon technology, supervision of installation, commissioning and start-up. Siemens supplied the condensation turbine. The automated technological process system and measurement equipment were supplied by Yokogawa and Invensys. Kislorodmontazh was the contractor for the construction of the granulation unit. Carbamide is a highly durable urea and has a long shelf life. The granulated urea fertiliser has better chemical properties with good demand in North America and Western Europe. NAK Azot produces every ninth tonne of Russia’s ammonia and nitric fertilisers. The ammonia, mineral fertilisers and methanol produced at the plant are exported to central and southern federal districts, and sold mainly to US, Mexico, Brazil, UK, Poland, Hungary, Slovakia, Turkey and West-European markets. EuroChem’s granulated urea production in Russia makes the country the world’s fifth mass producer of the fertiliser. Other significant producing countries include the US, Canada, Egypt and India. EuroChem is expected to have a 5% market share in the worldwide sales of the product.